One of the big challenges for anyone growing food is the long-term productivity of the growing area. Each time a vegetable is pulled from the ground, it contains some nutrients that now are no longer there. And if nutrients are not replaced through time, future food that is grown their will not be as nutritious. This is why there is evidence that food grown in mono-crops (single crops varieties) on large industrial farms is not as healthy for you as they were in the past. 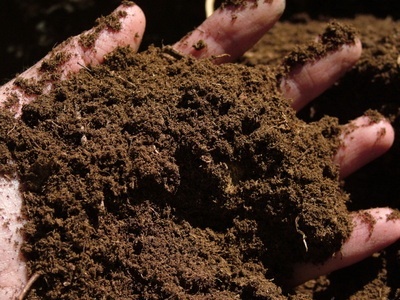 Some soils have become so depleted that the soil is simply what holds up the plant as they poor oil over it disguised as fertilizer and pesticides. As I am not a trained farmer, I got my first insights in to the importance of Fertility when I visited Will Allen’s Growing Power. It is an urban farm in Milwaukee, the last zoned farm in the city limits. They have developed methodologies using worm and natural composting solutions to replace and enhance the nutrient rich low-input productivity organically. And having discussions here in Chicago with Erika Allen (Mr. Allen’s daughter) who started the Iron Street Urban Farm as well as many other innovative Urban Farming and Training centers made me understand Fertility is the foundation of life. So we (at Slow Dwelling) are working on mapping the inputs and outputs of our food production efforts to make sure that we continue to replenish the nutrients and keep the productivity of the land high. We’re experimenting with different composting systems including worms, low maintenance, active managed and waste stream diverting neighborhood efforts (collecting pumpkins and leaves in the fall from neighbors). We’d like to get to the point in which we produce enough organic compost on our own so that we don’t need to bring it in. We want to become experts at producing our own fertility on site. There are different systems that have been developed all over the world. Many of the rice fields in Asia have been producing high quality, nutrient rich food for 1000’s of years. They have a developed very intricate relationships between fish, water, plants and of course the sun, all interdependent on each other. Fish providing poop that fertilizes the plants, plants feeding the fish, sun feeding the plants, plants oxygenating the water, plants cleaning the water of the fishes poop, water providing life and temperature control for both plants and fish. This entry was posted in Food, Food Production, The Garden. Bookmark the permalink.